The Pennsylvania Uniform Limited Partnership Act provides for the formation of limited partnerships. These partnerships are called "limited" partnerships because they offer limited liability for business losses to some partners. This limited liability makes the limited partnership an attractive business entity to some business owners. Under Pennsylvania law, limited partnerships can be formed by two or more people. Under Pennsylvania law, a limited partnership must consist of at least one general partner and at least one limited partner. The general partner accepts personal liability for the losses of the business. However, the liability of limited partners is limited to the extent of their original capital investment. The limited partners are given limited liability because they are not involved in the daily activities of the partnership. Rather, the general partners manage the business. Before forming a limited partnership, the partners must select a name for the business. The partnership's name must consist of letters or numbers, and cannot include any symbols. 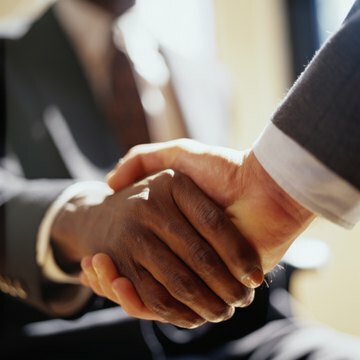 The names of the partners may be used in the partnership's name. Further, under Pennsylvania law, the name of the partnership may incorporate the names of the limited partners without affecting their limited liability. Sections 8505 and 8523 of the Pennsylvania Uniform Limited Partnership Act address the naming requirements for limited partnerships in the state. Before deciding on a name, the partners must check with the Pennsylvania Department of State to ensure the name is not already in use by another partnership. After agreeing to form a limited partnership, the partners must register with the Pennsylvania Department of State by filing a certificate of limited partnership that sets forth the partnership's name and address of its registered office. Additionally, all general partners must provide their name and business address. The limited partners need not be named in the certificate. Further, the certificate may contain other governance provisions agreed upon by the partners, including whether partnership interests will be evidenced by interest certificates. In addition, Pennsylvania law requires limited partnerships to maintain a registered office in the state with a street address; a post office box number is not a sufficient address. The partnership may also maintain offices in other states. Pennsylvania law also allows partnerships to indemnify partners against business losses and obligations. This indemnification means the partnership will accept liability for losses that would otherwise fall on an individual partner. If a partnership chooses to provide such indemnification, it must include a provision to that effect in its certificate of limited partnership. However, Pennsylvania law prohibits indemnification of a partner if the losses incurred by him were the result of willful misconduct or recklessness.